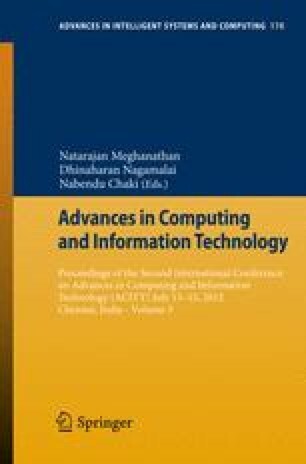 This paper presents a system which is able to analyze the state of mind of a human, based upon the answers given by him∖her during an interactive session, during which multiple choice questions are posed to the subject, in order to select one of them. A sum total of all the answers so selected is numerically mapped and depending upon empirically determined thresholds, a class of subject’s personality is inferred. The various categories of personality considered are positive, negative, semi-positive, semi-negative. The working of human brain has always been fascinating; during a conversation we, as humans are able to guess that the person we are conversing with, is either an optimist or a pessimist. To reach to such a conclusion our brain processes the information that we receive during that conversation, analyses it and then comes with an inference. Natural Language Processing approach is used, by picking up the choice and quantifying it with a numeric value and then the sum total of all answers is used to assess the trait of the person. For the purpose of quantification, a bag of words has been created, with numeric annotations. Further, machine learning technique also has been implemented to enable this capability of psycho-analysis on the Computer system. The motivation behind this work was the famous ELIZA system, but the difference being that the present system is not a dynamic/random Q/A system unlike the classical system.